Beltran Masses was born in 1885 in Cuba, Spain’s last colony. His family was of Catalan origin. He spent his youth in Barcelona where he started to train himself as an artist in the well-known school Llotja. Later he went to live in Madrid where he took classes with the Spanish painter Joaquin Sorolla. 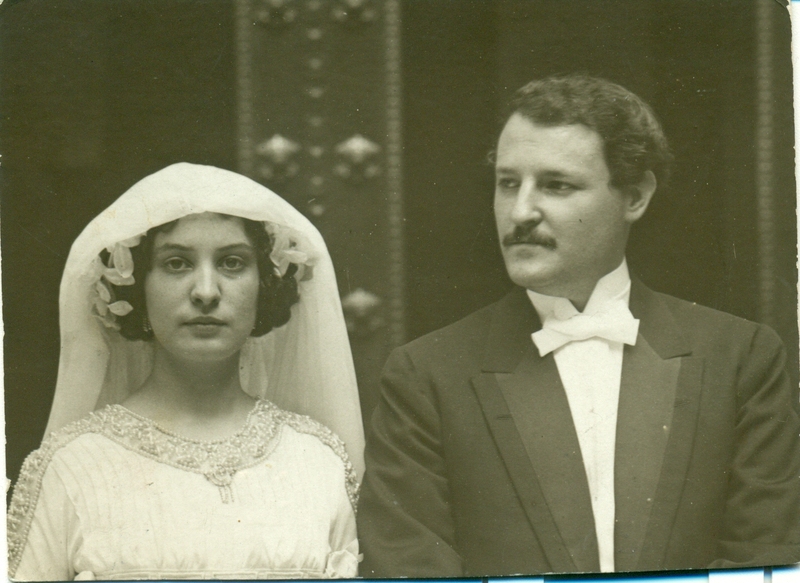 He married Irene Narezo Dragoné, a painter like himself, who came from a wealthy and distinguished family. Wanting to advance in his career, the couple moved to Paris and lived there from 1916 until 1946. In 1946 he abandons Paris and goes back to Barcelona, where he died in 1949. Beltran Masses had many exhibitions in Paris and very soon his work began to be recognised and admired. In 1920, the XII Biennal of Venice dedicated a large room to show his work. This exhibition had a great impact not only on the artistic world of the time but also in Beltran’s own work. He incorporated Venetian backgrounds in his portraits and made the architecture and water of the city a symbolic source of inspiration for his paintings. Beltran was his own best publicist. He was an extremely affable and kind man and that is one of the reasons he so easily gained the friendship and respect of his contemporaries. His clients were his friends. His fame as a talented painter, greatly enhanced by the media coverage of his exhibitions, spread quickly. Society wished to meet and be painted by him. He was the painter of the time. His fame was not limited to Parisian society but also to wherever aristocrats, politicians, bankers, writers and great artists from different backgrounds were found. A great traveller and public relations. 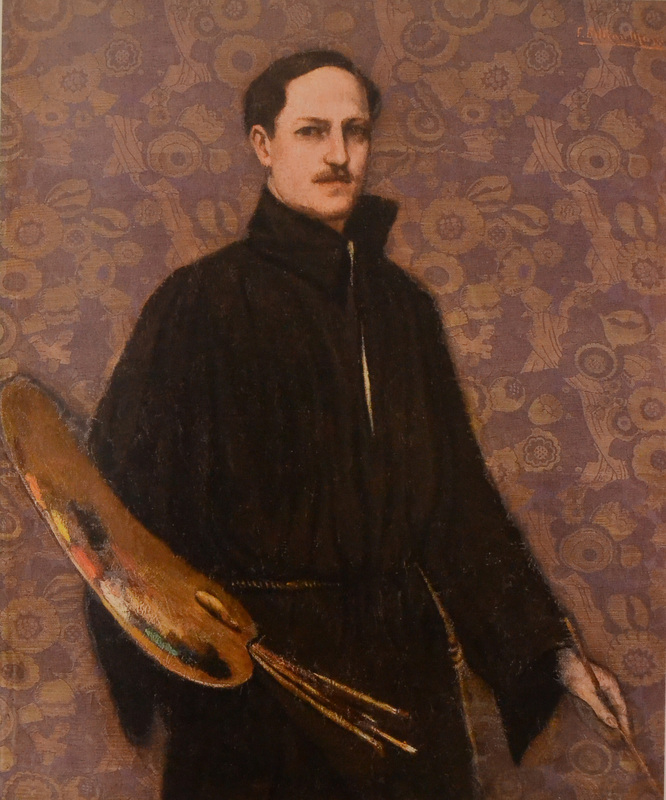 Federico Beltran Masses had an enquiring mind and it was this curiosity that contributed to his love of travel which enabled his work to become known internationally. He was close to people of all nationalities. 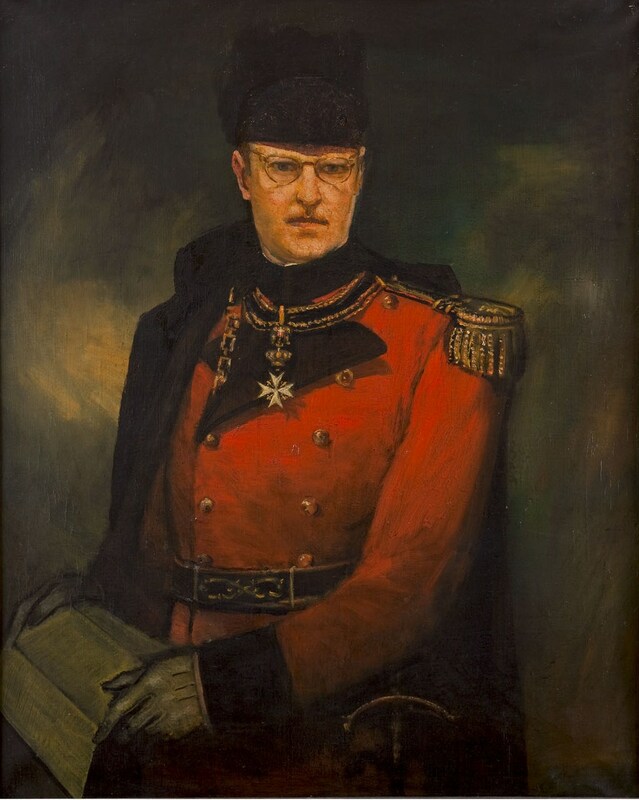 He painted aristocrats, princes, kings and dukes, exotic maharajas, business men and bankers, presidents of different countries, ambassadors, representatives of the militia, intellectuals, writers, singers, dancers and most of all actors. His fame preceded him. In America, he quickly became the sought after painter and his presence was required at society parties in Hollywood, Los Angeles, Palm Beach and New York. 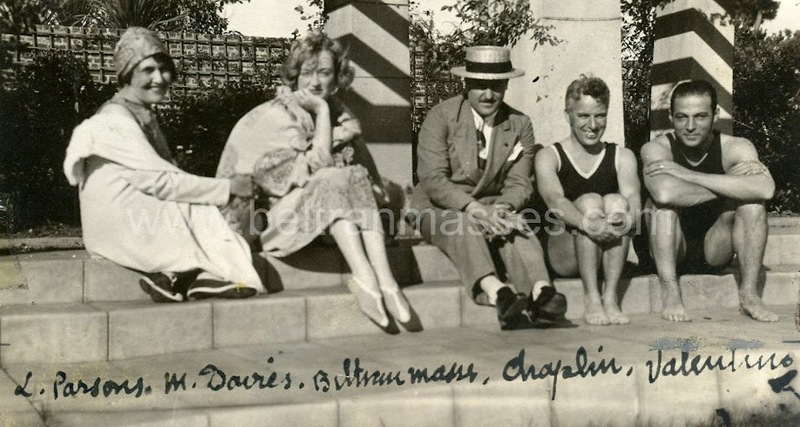 He had a very close friendship with the actor Rudolf Valentino, the first great Hollywood star, whom he portrayed. The actor soon became one of the greatest admirers of Beltran’s work and their friendship, together with the great prestige that he had internationally as a painter, made him the favourite of the American jet set of the time. He portrayed members of the famous wealthy American sagas like the Rothschild, the Morgan, the Forbes… and the cinema world like Pola Negri, Marion Davies, D.Fairbanks, Joan Crawford and Valentino himself. 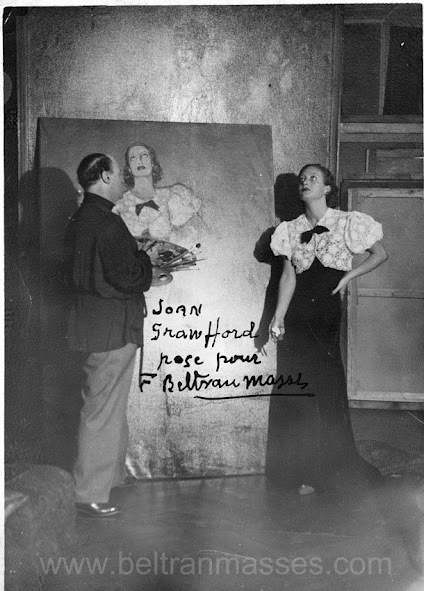 The painter portraying the actress Joan Crawford. In the exhibition in the Wildenstein Gallery in New York in 1924, he met R.W. Hearts who also becomes a collector and validator of Beltran’s work. 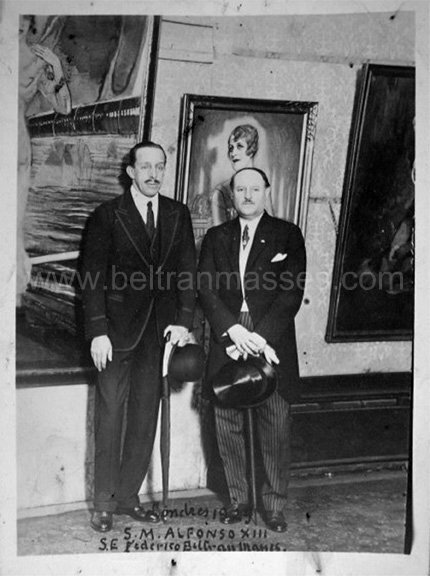 They travelled together on various occasions through America and Europe where Beltran Masses advised Hearts about the purchase of paintings for his private collection. His curiosity and taste for the exotic took him to travel to India in 1927. Maybe because of the petition of Anita Delgado, Maharaní of Khapurthala, whom he portrayed in 1919. The exotic spirit of images of Madrás appears in his work as a background note or excuse. Art academies of many different countries where his fame arrived, recognized and awarded him. Civil organisations awarded him and military orders distinguished him. He was recognized by all. To Beltran these awards were important; they both affirmed and encouraged him. For Beltran Masses, fame and international recognition were very important and he managed to achieve both. All this adoration during his lifetime and the fact that his work was focused on society portraits were exactly the reasons why his fame, as well as the society he portrayed, disappeared. His work in the present is not as known as it were in him time. The undeserved oblivion of the painter and this project tries to bring to light the importance of his work and figure. Maria Antonia Salon is currently working on his life and biography.